Television viewing is coming to virtual reality. While VR headsets have been most notably used for gaming, many consumers around the world expect to use VR for TV and video viewing within the next few years. 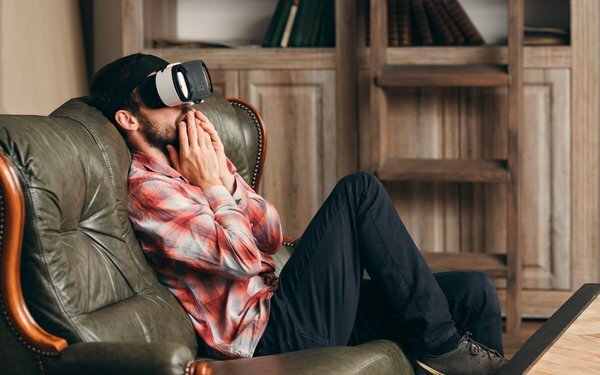 Almost a third (30%) of consumers say they will be watching TV via VR headset, negating the need for big screen TVs, based on a new global study. The study comprised a survey of 20,0000 people in 13 countries (Brazil, Canada, China, Germany, India, Italy, Russia, South Korea, Spain, Sweden, Taiwan, the U.K. and the U.S.) who have a broadband internet connection at home and watch TV or video at least once a week. The eighth annual study was conducted by Ericsson ConsumerLab. Of course, not everyone sees their habits changing, with almost a quarter (23%) saying they don’t think they will have changed over the next five years. The big change coming is from using virtual reality as a solo experience to watching the same content together with others. More than two in five (41%) consumers with VR headsets already watch movies and TV programs on their devices with others and more than a third (35%) watch other video content with others. One of the potential inhibitors to the growth of virtual reality is cost. Nearly 55% of those planning to get a VR device would prefer if the headsets were cheaper. Additionally, about half of consumers think there should be more immersive content available and a third would be more interested in VR if they could get a VR bundle from the TV and video provider. 2 comments about "Consumers Moving To Watching TV On VR Headsets ". Ed Papazian from Media Dynamics Inc, October 10, 2017 at 4:45 p.m.
We just did a study of 78 persons aged 15-31 that found that they expect to be doing all of their mobile video viewing---that's an average of 10.98 hours per day per person---on VR headsets. We are a tad dubious about these findings so we are replicating the study with a "big data" sample of 23,976 next week. As everyone knows the larger the sample the more accurate the findings---right? Chuck Martin from Chuck Martin replied, October 10, 2017 at 6:34 p.m. This study comprised all adults, Ed. Also, no country-by-country breakdown seen.